The Gardens at Ivory Ridge is an active adult community within the master planned community Ivory Ridge in Lehi, Utah. This 55+ neighborhood offers single-family residences in a variety of models on a new and resale basis, meaning there are plenty of options for all tastes. Residents here enjoy full access to a variety of resort-style amenities in both the clubhouse and the Ivory Ridge Swim and Tennis Club. Additionally, the location in Lehi puts neighbors conveniently close to the metropolitan center of Salt Lake City. The main social hub is at the Ivory Ridge clubhouse. Clubs and classes can meet in the meeting room or any of the social rooms. A ballroom makes holding events a breeze. Residents can challenge each other to a game in the card room or prepare a snack in the catering kitchen. There’s even a full fitness center so homeowners can stay active without a pricey outside gym membership. The clubhouse also features an outdoor pool and patio for relaxation and fitness purposes and there’s a playground in the community for visiting grandkids to utilize. Residents of The Gardens at Ivory Ridge also have access to the Ivory Ridge Swim and Tennis Club where there are even more amenities to keep busy. This complex is home to an even larger fitness center and locker rooms. A banquet room offers an alternative event space. There are five outdoor tennis courts in addition to six indoor courts. The club is also home to three pools including a lap pool, activity pool, and tot pool. Residents can also relax on the outdoor patio or do some shopping in the pro shop. Ivory Homes began construction on The Gardens at Ivory Ridge in 2007 and, when complete, the neighborhood will consist of 57 single-family residencies. These homes available in The Gardens at Ivory Ridge range in size from 1,055 to 1,804 square feet. These designs feature one to three bedrooms, some including a den for extra space. Units include two or two-and-a-half baths as well as a two-car garage for parking and storage. These homes offer top notch features like vaulted ceilings and walk-in closets so residents can live in the height of luxury. Thanks to access to two clubhouses and a variety of active neighbors, there is always some kind of club or event happening at The Gardens at Ivory Ridge. Get into shape with Body Pump or kickboxing, or relax with yoga and Pilates classes. Residents socialize in the cycling group and challenge each other to regular games of tennis. In addition, special events are common here, whether it’s a holiday party or just a neighborly picnic. Conveniently located in Lehi, Utah, The Gardens at Ivory Ridge is near the greater Salt Lake City area, making a trip to the city easy. Just 30 minutes away via I-15, residents can travel to Salt Lake City to watch a Utah Jazz game or to take in the natural beauty of Bryce Canyon National Park. Salt Lake City is also home to a variety of cultural attractions like the Cathedral of the Madeleine and the Gilgal Sculpture Garden. Locally, The Gardens at Ivory Ridge is near a variety of everyday conveniences. Just down the street are a number of churches, restaurants, and shops. It is also a short drive to the Mountain Point Medical Center, letting residents receive their medical care with ease. A Smith’s Marketplace is a few blocks away for all grocery shopping needs. 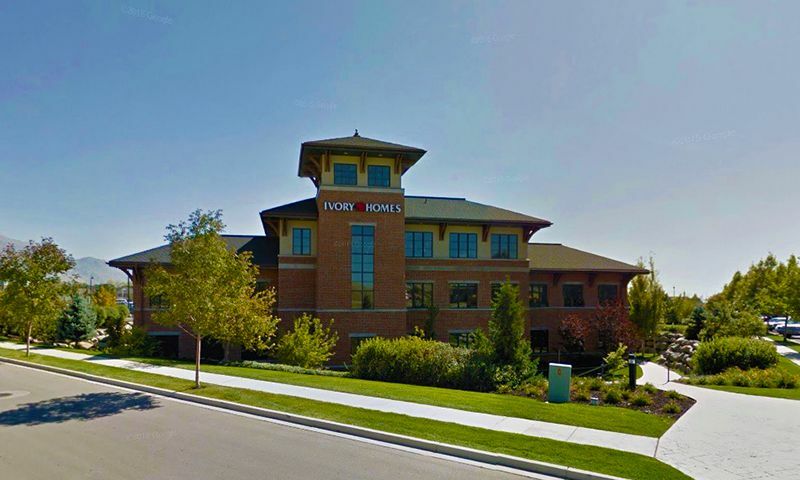 With a prime location and a variety of amenities, retirees are flocking to life at The Gardens at Ivory Ridge in Lehi, Utah. Residents also have access to all the amenities offered at the Ivory Ridge Swim and Tennis Club. There are plenty of activities available in The Gardens at Ivory Ridge. Here is a sample of some of the clubs, activities and classes offered here. Single-family homes are available in The Gardens at Ivory Ridge, and range in size from 1,055 to 1,804 square feet. These designs feature one to three bedrooms, some including a den for extra space. Units include two or two-and-a-half baths as well as a two-car garage for parking and storage. These homes offer top notch features like vaulted ceilings and walk-in closets so residents can live in the height of luxury. 55places.com is not affiliated with the developer(s) or homeowners association of The Gardens at Ivory Ridge. The information you submit is distributed to a 55places.com Partner Agent, who is a licensed real estate agent. The information regarding The Gardens at Ivory Ridge has not been verified or approved by the developer or homeowners association. Please verify all information prior to purchasing. 55places.com is not responsible for any errors regarding the information displayed on this website.